During the conference session, experts from The Ministry of Environment and Water and The National Agricultural Advisory Service, The Regional Inspectorate of Environment and Water – Plovdiv, The Plovdiv Regional Forest Directorate, The Agricultural University and The Institutes of Organic Chemistry and Biodiversity and Ecosystem Research of the Bulgarian Academy of Science (BAS) presented problems and achievements in the conservation, management, use and processing of medicinal plants. Herb buyers and primary processors, representatives of herb processing companies, producers of herb consumer products, NGOs and members of the general public participated in the session. „Secondary Processing of Medicinal Plants for the Addition of Value and Intelligent Utilization of Resources” – Assoc. Prof. Petko Denev (PhD), Laboratory for Biologically Active Substances, Institute of Organic Chemistry, BAS. „Bulgaria’s Medicinal Plant Conservation Policy“ – Kalina Stoyanova, National Nature Protection Service, Ministry of Environment and Water. „Management of Medicinal Plant Resources in Central Balkan National Park” – Gergana Staneva, Central Balkan National Park Directorate. „Assessment and Management of Medicinal Plant Resources in Pirin National Park“ – Boryana Sidjimova (PhD), Institute of Biodiversity and Ecosystem Research, BAS and Anna Gavrailova (PhD), University of Forestry, Sofia. 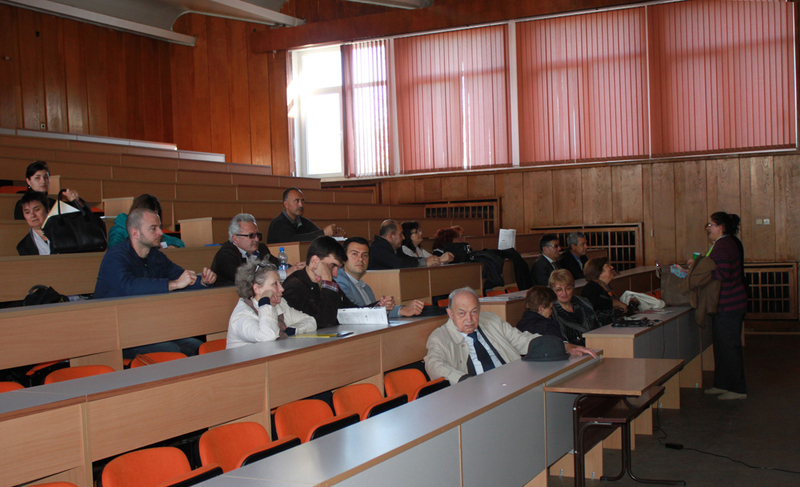 „Organic Cultivation of Medicinal Plants – Advantages and Opportunities” – Assoc. Prof. Anna Karova (PhD), Agricultural University, Plovdiv. „Cultivation of Medicinal Plants and Herb Processing – Financing Opportunities through The Rural Development Programme 2014–2020” – Ivanka Todorova, head secretary of the National Agricultural Advisory Service. „The LIFE+ programme – Financing Opportunities for Environmental and Biodiversity Conservation Initiatives” – Kalina Stoyanova, National Nature Protection Service, Ministry of Environment and Water. „Legal Framework for Medicinal Plant Conservation and Sustainable Use – General Overview of the Challenges” – Dimitrina Boteva, Foundation Information and Nature Conservation. A lack of financing opportunities in the production and processing of herbs, as well as for conservation efforts, etc. Inclusion of the governmental administration in the formulation and financing of projects and seeking of funding for conservation and sustainable use of medicinal plants from European programmes. A group for the formulation of suggestions for improvement of policy and practices of medicinal plant use was formed during the Fair. Foundation Information and Nature Conservation will continue to serve as a coordinator of the Group and disseminate information about its work publicly.